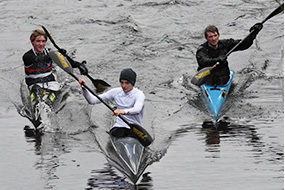 Flat water racing is an exciting and challenging branch of paddle sport. 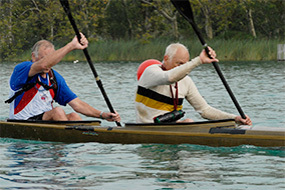 The low impact nature of the exercise is beneficial for all ages and is excellent for improving fitness. 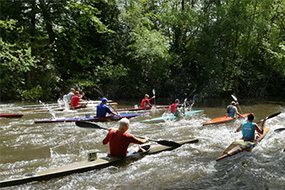 Flat water racing includes the disciplines of Marathon and Sprint. 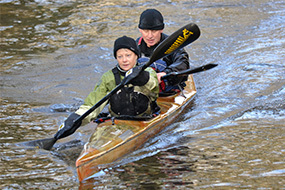 Due to the narrow width and shallow nature of the canal, we at Basingstoke Canal Canoe Club (BCCC) concentrate on preparing for and taking part in marathon racing. 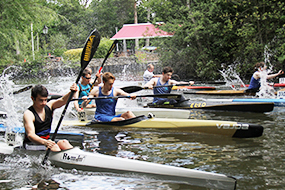 Whatever your level of ability and however far you want to pursue flat water racing as a sport, you will be welcome at the BCCC.